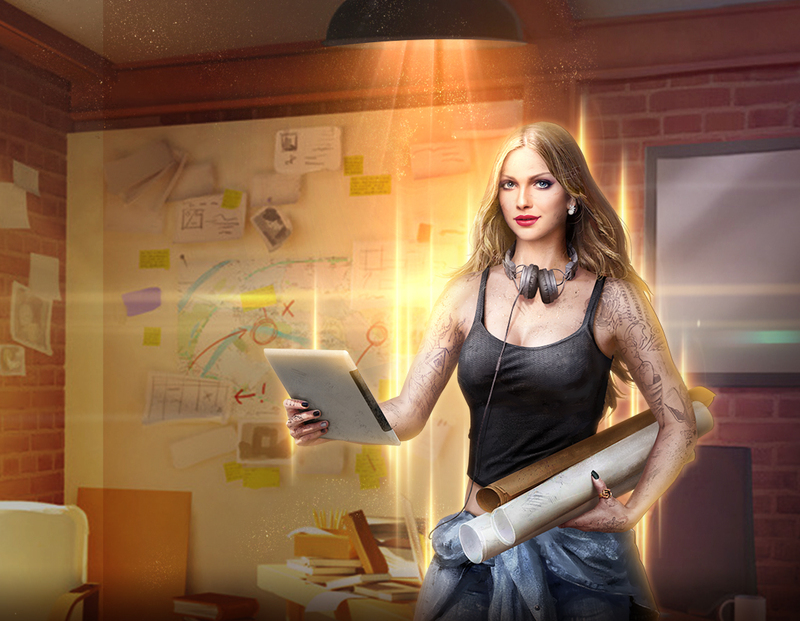 Fast Construction—Genius Architect Suri Has Arrived! Loads of development skills help for faster construction. Aim for Mansion level 30 Now! Suri is the daughter of a very rich family, not only does she have high IQ level but also a very meticulous mind as well as unique personal insights in regards to architectural designs. Although the Mansions designed by her are very expensive, but their defensive system and gorgeous appearance are unmatched by any known architects, which is one of the reasons why it is so sought after by various Bosses. Exactly whose invitation will she accept is solemnly dependent on her mood! Basically Suri has 3 set of skill that increases the Instant Building Time, known as [Genius Architect], [Exquisite Design] and [Fast Construction]. When all 3 skills have been unlocked, the total Instant Building Time can be extended by a total of 1 hour. At the same time Suri can increase [Cash Gathering Speed By 30%], ensuring that their leader always have enough Cash for upkeep as well as upgrade building! And when Suri leads Crime Op, she can also increase [Bulker Defence By 5%]. Just buying the “Genius Architect——Suri” pack once and you will be able to unlock Vigilante “Suri”, at the same time the pack contains loads of Vigilante EXP to help you level up your Vigilante faster! ※The major difference of this Vigilante pack is that it contains far more Resource and Speedup items that can allow leaders to construct and upgrade faster. Aim for Mansion level 30 now! Vigilantes can be viewed and recruited at the Clubhouse. Is Thy Dance A Blessing Of Fortune Or Despair?